Global Academic Society encourages and provides national forum for the publication of research work in different fields of science and technology. Society provides a platform for young scientist to reciprocate and encourage new thoughts wide galaxy of professor of established reputation. Society covers recent discoveries in structural and functional principles of scientific field particularly in developing countries. Society publishes high quality books in different branches of science & technology at reasonable prices. Authors are invited to send their valuable manuscripts based on their area of specialization for book publishing. We shall assist in the process and ensure that their writings shall enhance the knowledge of the student's community. All books will be published with ISBN. We grow with the increasing interest of the authors to publish with us. Our books will be successful in achieving its objects and helpful in motivating not only to the young researchers, teachers and students working in different areas of biological science so that they may excel their career in different fields of science & technology . We accept submissions in only English language with MS Words format. Authors, who are interested to published their books, send their manuscripts at email: gaspublication@gmail.com or ijls2010@gmail.com. 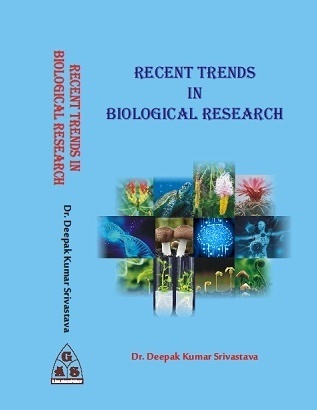 Our Published Book: "Recent Trends in Biological Research"